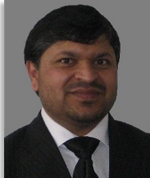 Dr. Ghulam Jaffer received his MSc degree in Space Science from University of the Punjab and PhD degree in Electrical Engineering from Graz University of Technology, Graz Austria, in 2002 and 2011 respectively. The title of his PhD thesis was "Study of an Austrian Lightning Nano-Satellite (LiNSAT): Space and Ground Segments”. Dr. Jaffer developed Telecommunication Labs at GC University, Lahore right after obtaining his MSc degree from University of the Punjab, Lahore. Moreover, he established a new department (Space Science) from scratch at IST Islamabad and initiated UG and PG Programs namely BS Space Science and MS Remote Sensing and Geographic Information Science (RS&GISc) successfully. He developed and reviewed curricula of BS and MS levels and amended courses to bring them at par with international standards in the newly developed Space Science Department. He participated in the curriculum development at national level through Higher Education Commission (HEC) as member of National Curriculum Review Committee (NCRC) as well. He was among organizing body at International Conference of Aerospace Engineering (ICASE 2011) and ICASE-2013. Dr. Jaffer was a key person in strengthen process of university-industry linkages by involving in collaboration processes between IST and other national & international organizations by signing MoU with National Centre for Physics (NCP), Islamabad and Pakistan Meteorological Department (PMD), Islamabad, Pakistan. He is working on MoU with Ecuadorian Space Agency (EXA), Ecuador with University of the Punjab, Lahore. Alongwith strong administrative capabilities, he has a wide experience to work with space data acquisition, data processing and data analysis using proprietary and open-source software. He is actively participating in space operations and scientific outreach using publicly available international internet-to-orbit gateway and real/ virtual ground station at his current employer site. He is very much interested to investigate the areas like Astronautics/ Astrodynamics, Scientific/ Engineering Payload Design, Space Flight Dynamics, Space Communications, Spacecraft Telemetry and Operations, Space Instrumentation, Radio Astronomy, Space Environment and allied disciplines. He is highly passionate in teaching and do research work in the area of satellite related systems and modeling. His publications can be found in top-tier conferences (i.e., IAC, AIAA, IAA, AGU, EGU, UN-OOSA Symposia etc) and journals (i.e., Acta Astronautica, Pensee Journal, Physics of Plasmas etc). He carried out extensive research on satellite constellation and satellite sub-system/ payload design mainly in the framework of small satellites. He currently has a number of PhD and MPhil students working on these topics for various applications. He is highly active in satellite systems engineering research and currently involved in scientific payload design of SUPARCO’s PNSS which is expected to be launched in late 2017. He is the academic mentor for the students’ team working for PNSS project. He secured internal grant through proposals for improvement of facilities such as teaching and R&D Labs (NOAA Satellites ground station capabilities as virtual ground station for remote operations). Moreover, He has submitted recently a research Proposal to HEC’s NRPU 2016 to establish collaborative R&D activities at Space Science department, University of the Punjab, Lahore in the area of Ionospheric scintillation and mitigation methods for satellite-based positioning systems.